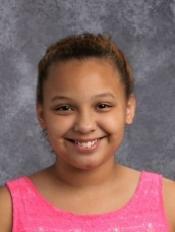 6th grader Jazzelle Subcliff was honored Saturday, February 2nd at the QC Theatre Workshop’s annual Susan Glaspell Playwriting Festival. This festival honors local and national playwrights with a focus on strong female characters. The categories include National Playwriting, Local Playwriting, and Local Youth (under 18) Playwriting. Jazelle’s play entitled, “Royalty: An Inside to Teen Lives” was chosen by a committee of play readers. It focuses on Jazzy’s group of friends and what they experience as 6th grade students. The QC Theatre Workshop exists to help members of its community live their best lives. The Workshop accomplishes this by providing financially and emotionally accessible theatrical productions that impact its audiences’ lives, giving them the opportunity to reflect on and engage in topics that dig deeply into core issues of our shared humanity. Susan Glaspell was a journalist, author, actor and Pulitzer Prize-winning playwright. As a theatre based in her hometown of Davenport, Iowa, the QC Theatre Workshop believes in the importance of sharing and sustaining Glaspell’s historic legacy. To this end, the Workshop produces the annual Susan Glaspell Playwriting Festival, which presents original works by local and national playwrights. The annual festival is open to all students under 18. The winning award for the youth category is $100.